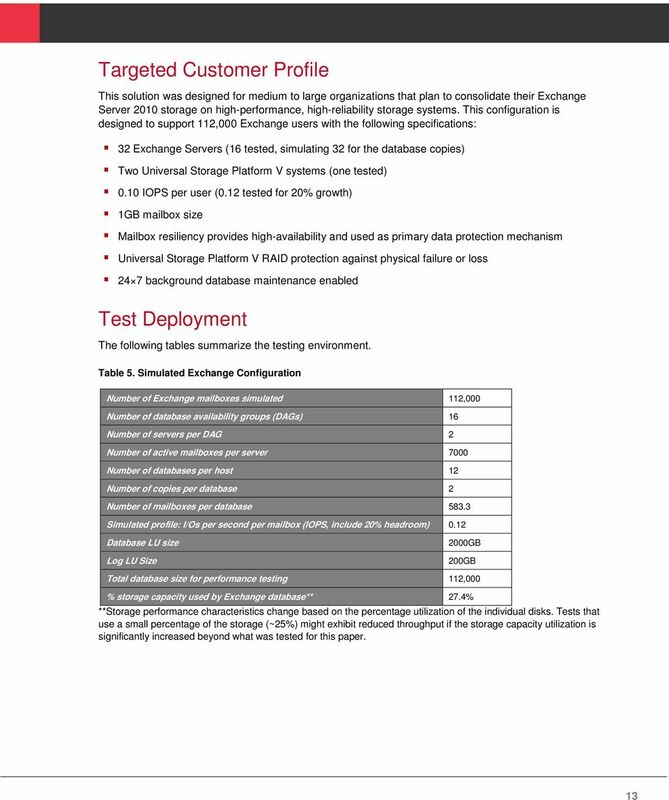 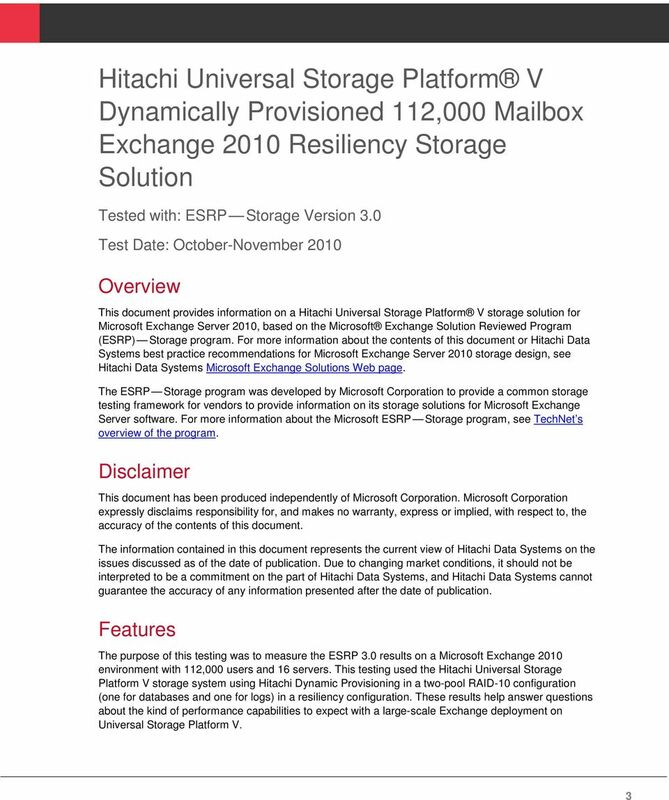 Hitachi Universal Storage Platform V Dynamically Provisioned 112,000 Mailbox Microsoft Exchange 2010 Resiliency Storage Solution. 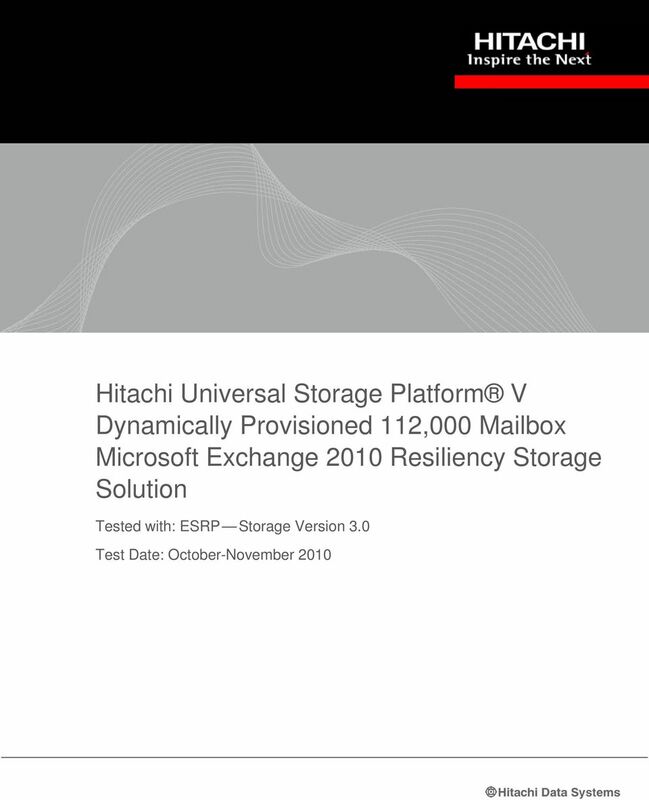 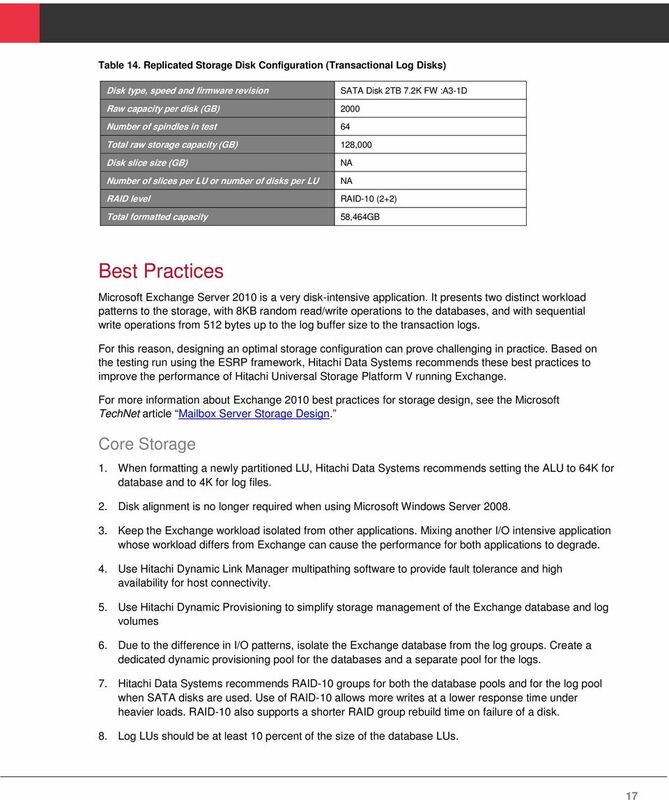 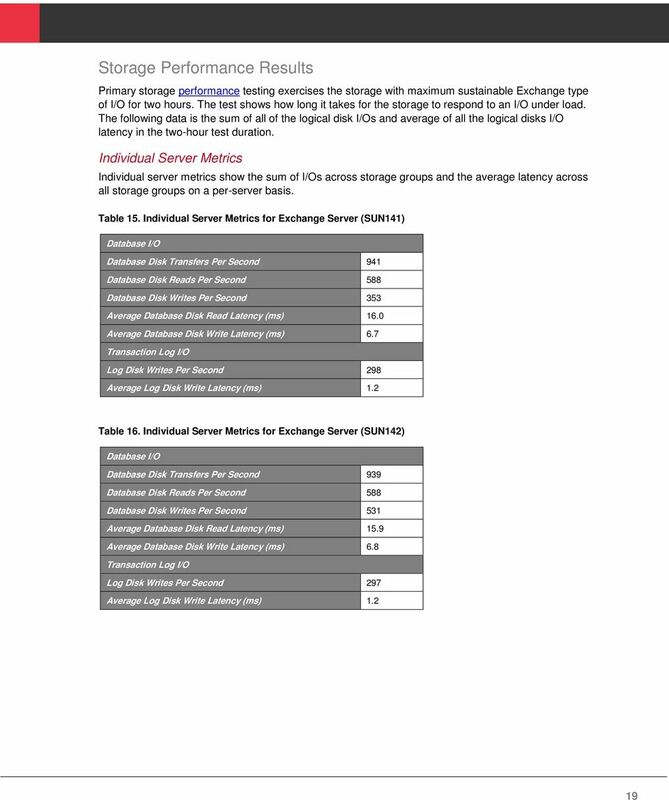 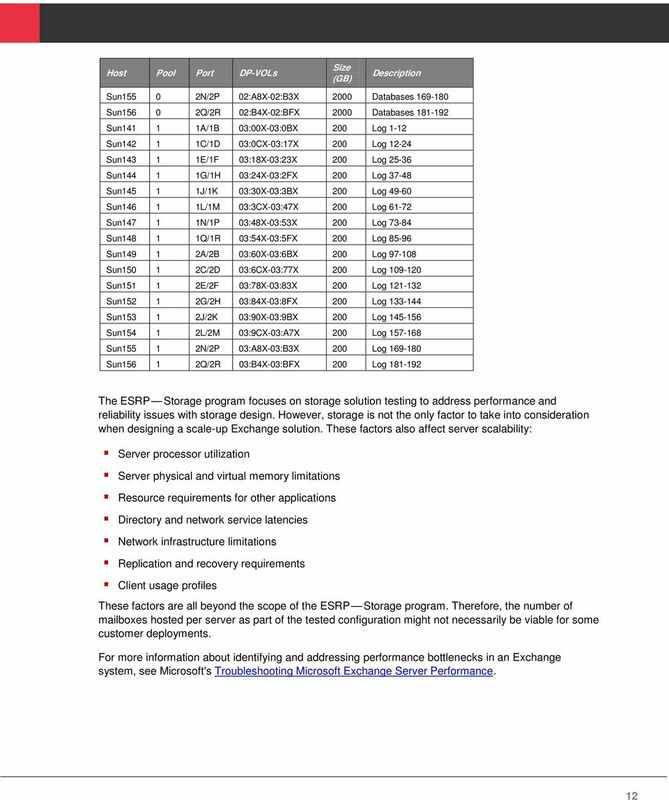 Download "Hitachi Universal Storage Platform V Dynamically Provisioned 112,000 Mailbox Microsoft Exchange 2010 Resiliency Storage Solution." 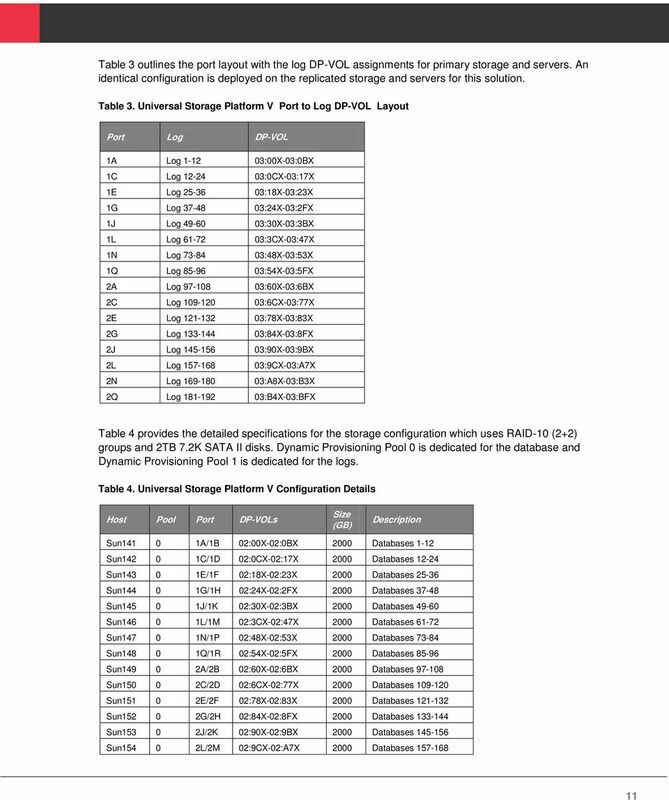 1 Deploying SQL Server 2008 R2 with Hyper-V on the Hitachi Virtual Storage Platform Reference Architecture Guide By Rick Andersen October 2010 Month Year Feedback Hitachi Data Systems welcomes your feedback. 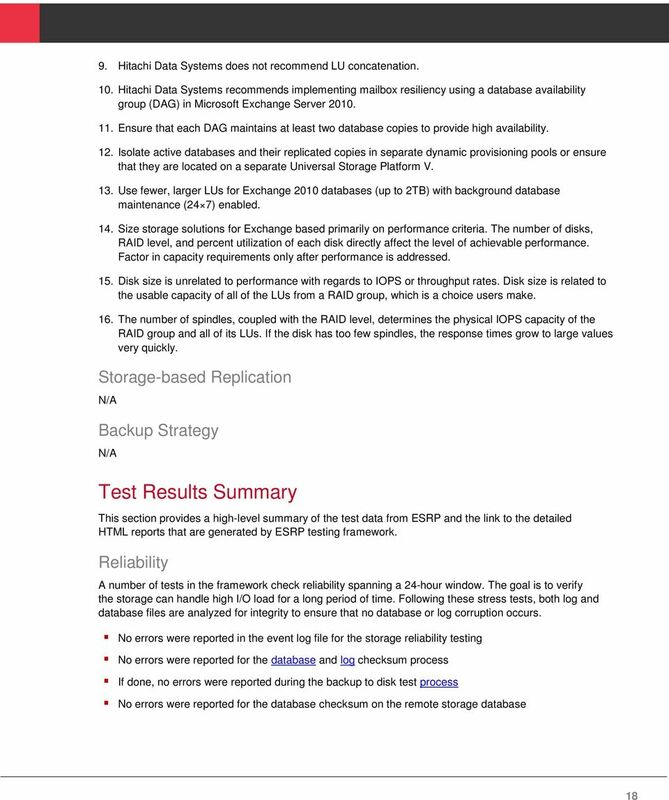 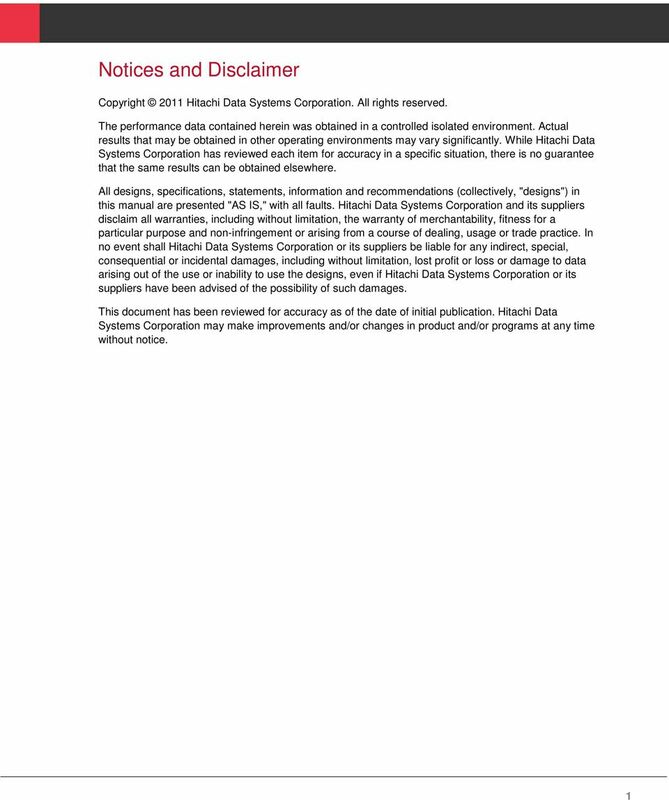 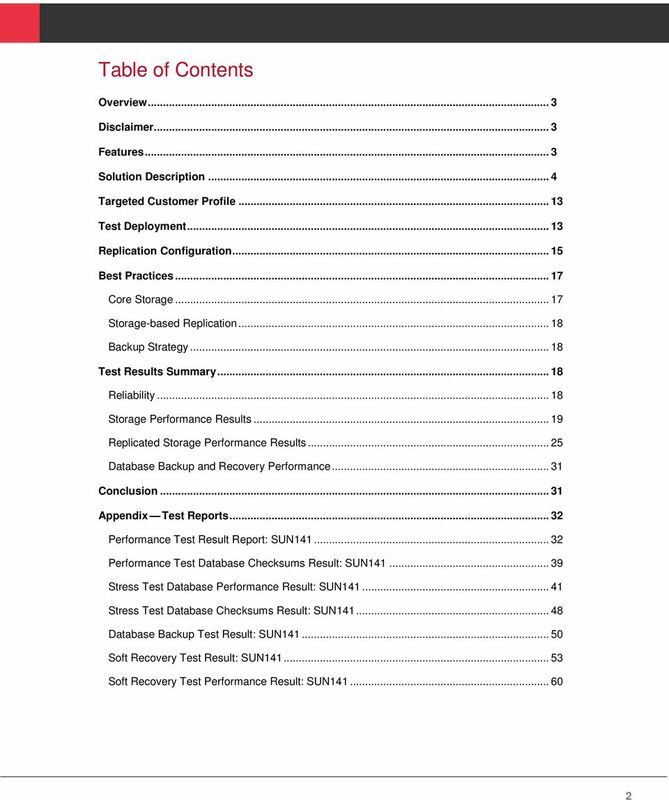 1 Deploying SAP on Microsoft SQL Server 2008 Environments Using the Hitachi Virtual Storage Platform Implementation Guide By Sean Siegmund June 2011 Feedback Hitachi Data Systems welcomes your feedback. 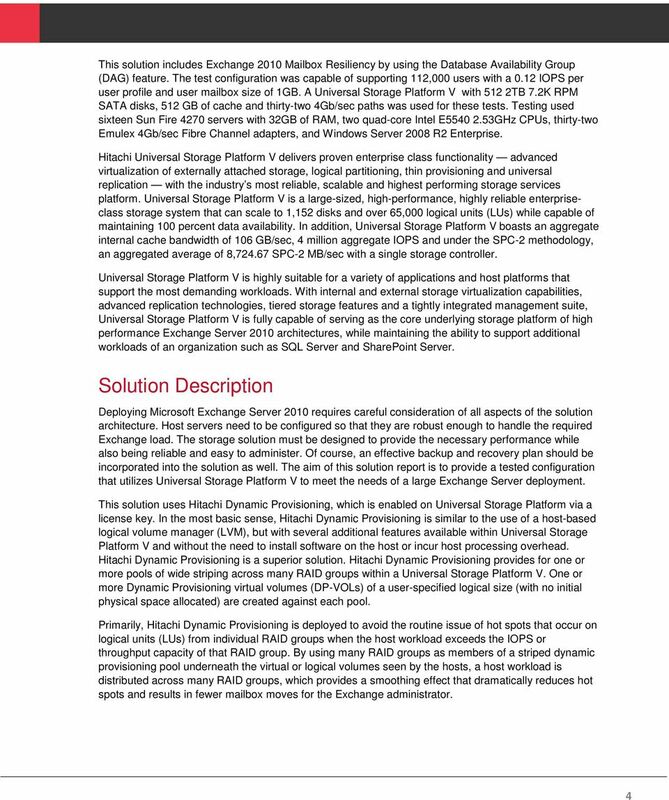 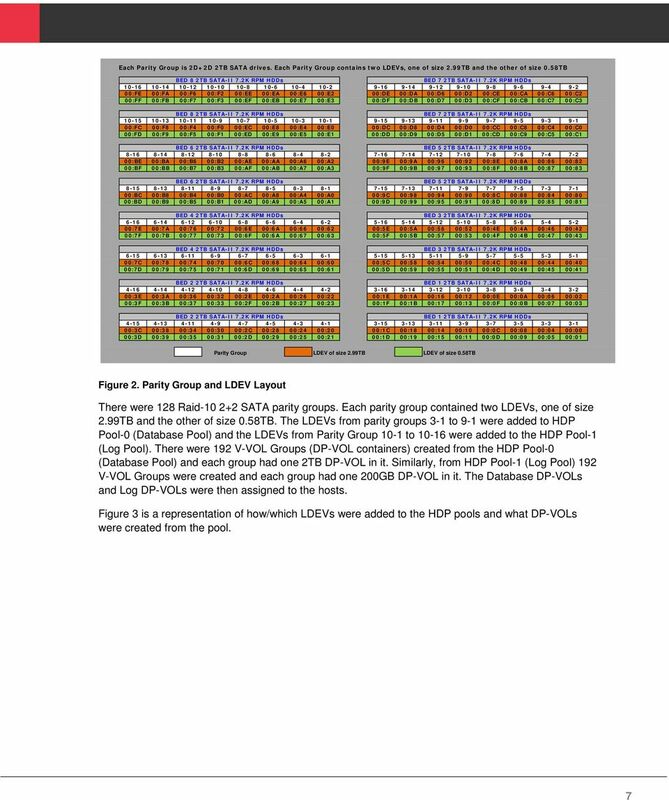 White Paper MICROSOFT HYPER-V SCALABILITY WITH EMC SYMMETRIX VMAX Abstract This white paper highlights EMC s Hyper-V scalability test in which one of the largest Hyper-V environments in the world was created. 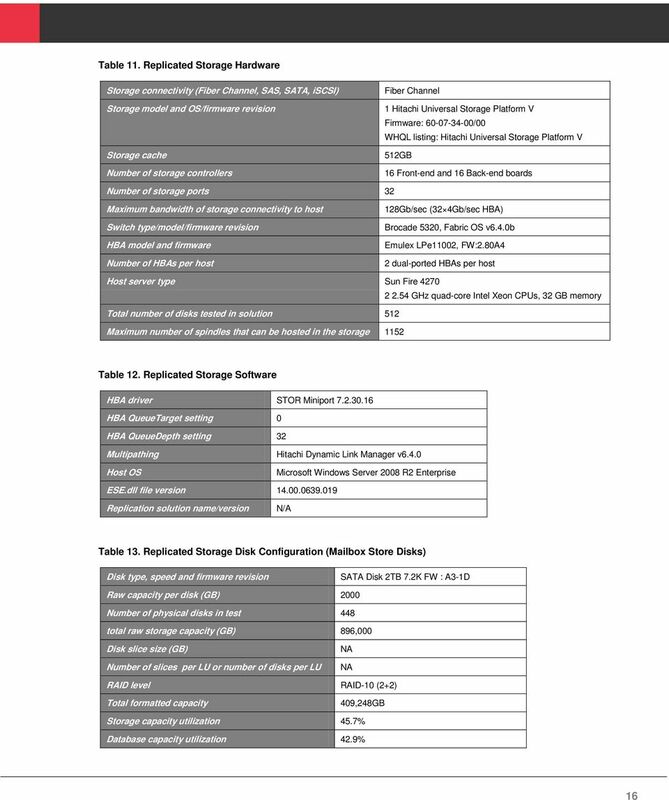 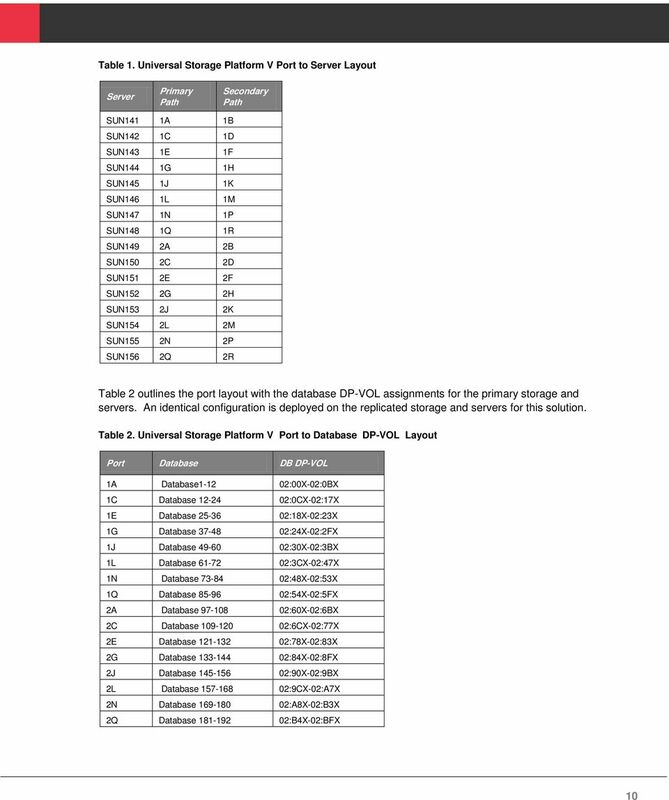 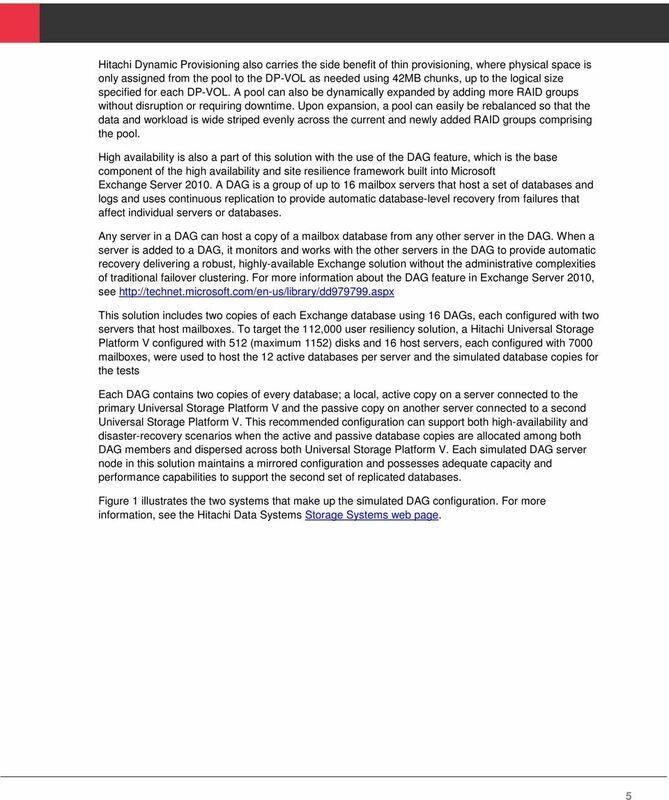 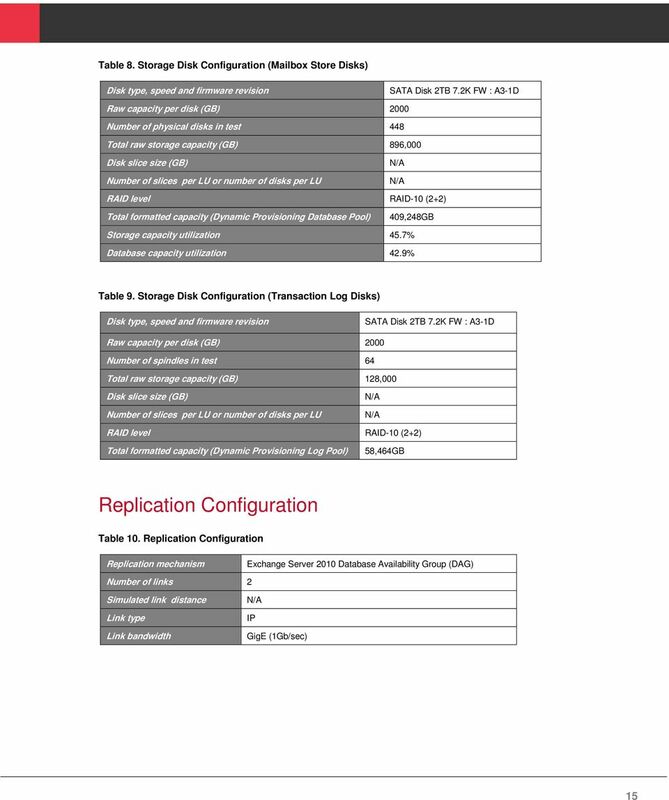 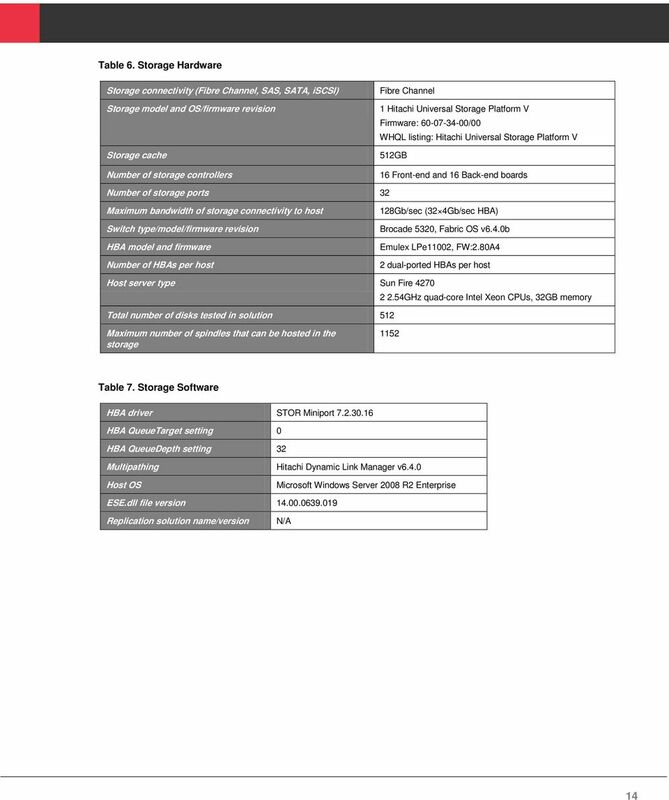 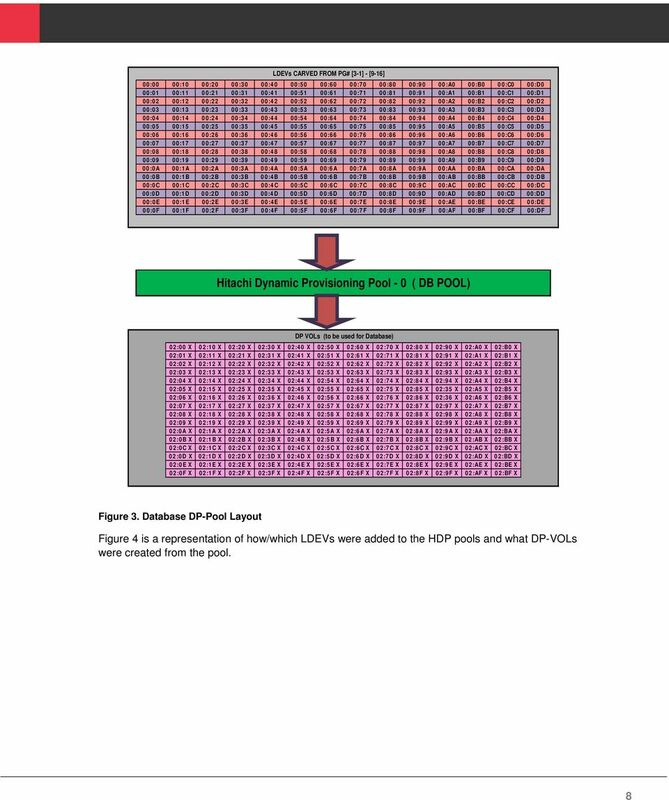 Dell Virtualization Solution for Microsoft SQL Server 2012 using PowerEdge R820 This white paper discusses the SQL server workload consolidation capabilities of Dell PowerEdge R820 using Virtualization.